Herbarium, Garden library and image collections. Small seed room – the seeds, collected in the Garden and on collecting trips, are cleaned and stored here. Please note that we do not have a kiosk anymore. 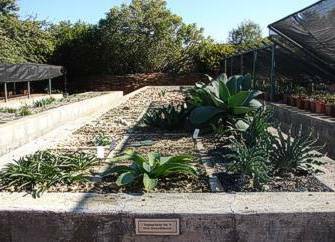 The Index nursery is an area dedicated to the Garden’s living collections of succulents and geophytes (bulbs). There are just under 3 900 taxa housed in the index collections of which 177 species are currently on the red data list of threatened species. 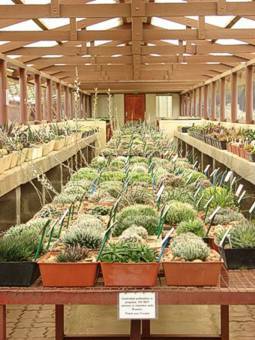 The largest part of the collections consists of haworthias, mesembs and stapeliads. 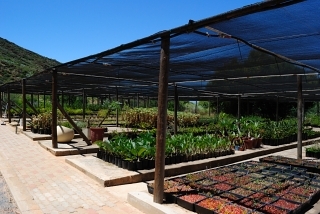 The plants are collected throughout southern Africa, but most of them come from the arid winter rainfall regions. These plants are cultivated in special houses within a semi-controlled environment. The production nursery is 1 ha in extent. 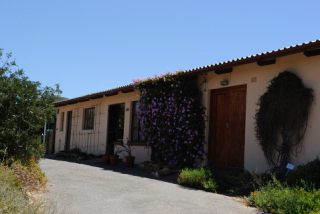 Most of the plants needed for the Garden and plant sales nursery are grown in here. Many of the surplus plants are used for greening schools and public places or donated for worthy causes.